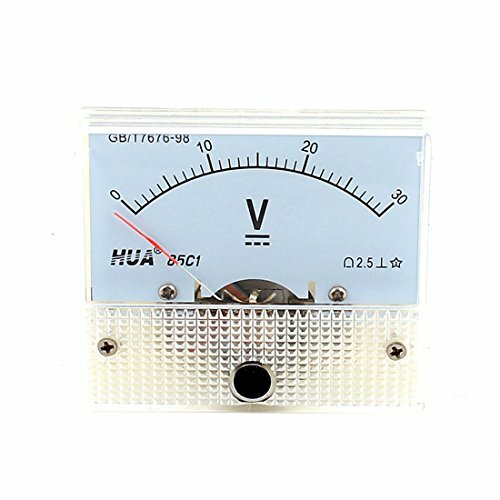 Description:Measures voltage range of 50V with accuracy of Class 2.5.Clear and easy to read scale and a button for fine tuning the dial.Needle Ampere Panel Meter for electronic applications, auto circuit or other Voltage measurement devices..
Descriptions:1.Monitor your systems quickly and accurately with this easy to read DC 0-15V volt meter.2.For electronic applications, auto circuit or other Voltage measurement devices.Specificatins:Product Name: Analog Voltage Panel MeterModel: 85C1Measuring Ampere Range: DC 0-15VAccuracy: Class 2.5Meter Face Size(Approx): 65 x 55mm / 2.6 inch x 2.3 inch(L*W)Screw Dia: 3mm/ 0.12 inchOverall Depth: 54mm / 2.1 inchColor : WhiteNet Weight: 73gPackage Content:1 x Voltage Panel Meter. 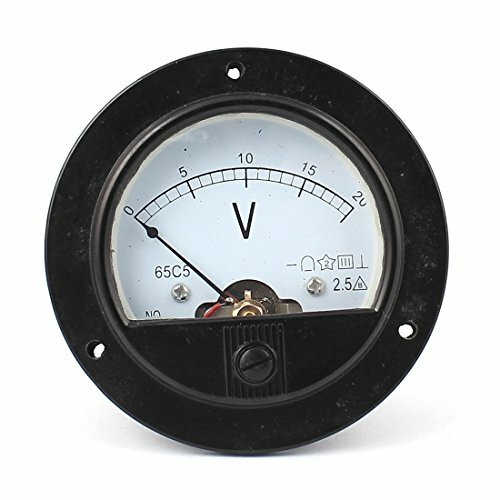 Measures voltage range of DC 0-30V with accuracy of Class 2.5.Clear and easy to read scale and a button for fine tuning the dial.Quick and accurate for testing current. 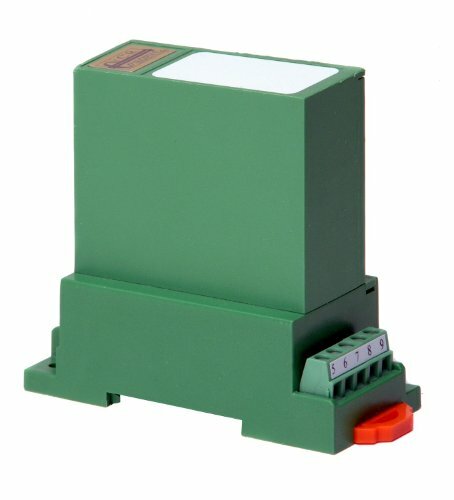 This voltage transducer combines a potential transformer and signal conditioner, and is suitable for use in industrial automation systems. The transducer provides average root-mean-square (RMS) measurement for sinusoidal alternating voltage waveforms, with an accuracy of 0.5% full scale (FS) and a response time of 100 mS or shorter. Mounting options include DIN rail or panel. It is suitable for monitoring linear, constant-speed loads that produce sinusoidal waveforms. Warranty & Return 1.24 MONTHS QUALITY guarantee. Warranty : In the process of Exchanging products Buyer shoud bear freight of return shipping, while Manufactuer should bear freight of sending. 2.Buyer can return products and get FULL REFUND of item value within 30 days after receiving , if there's any quality problem in original products; Freight of return should be beard by manufacturer. 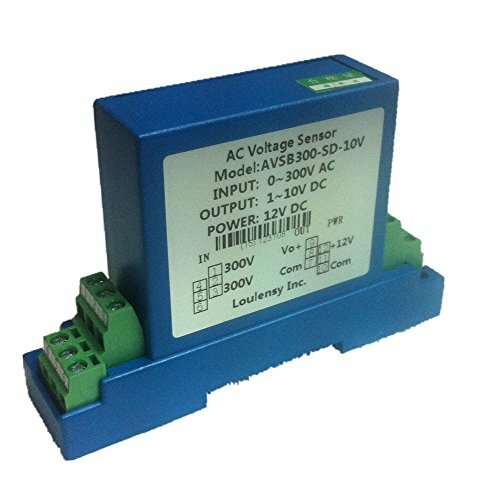 The DC voltage transducer combines a potential transformer and signal conditioner, and is suitable for use in industrial automation systems. The transducer provides average root-mean-square (RMS) measurement for direct current voltages, with an accuracy of 0.2% full scale (FS) and a response time of 250 ms (10-90% step change). Mounting options include DIN rail or panel.It is suitable for monitoring direct current (DC) voltage loads. 1.24 MONTHS QUALITY guarantee. Warranty : In the process of Exchanging products Buyer shoud bear freight of return shipping, while Manufactuer should bear freight of sending. 2.Buyer can return products and get FULL REFUND of item value within 30 days after receiving , if there's any quality problem in original products; Freight of return should be beard by manufacturer. 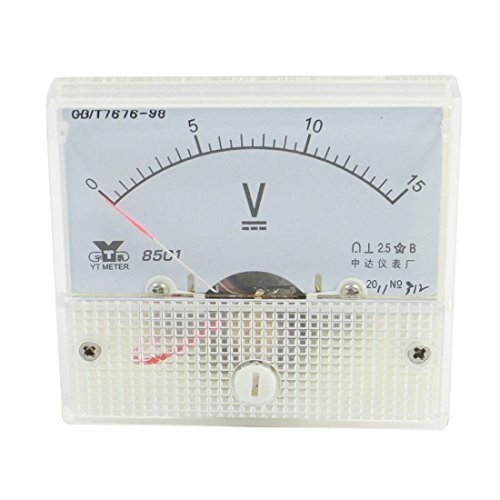 Measures voltage range of DC 0 - 20V with accuracy of Class 2.5.Clear and easy to read scale and a button for fine tuning the dial.. This CR Magnetics CR4510 series current transducer combines a solid-core current transformer and signal conditioner, and is suitable for use in industrial automation systems. The transducer provides true root-mean-square (RMS) measurement for distorted voltage waveforms, with an accuracy of 0.5% full scale (FS) and a response time of 250 ms (10-90% step change). Mounting options include DIN rail or panel. This voltage transducer is Underwriters Laboratories (UR) Recognized and Conformit Europ enne (CE) certified for quality assurance. It is suitable for monitoring variable-frequency drive (VFD) and silicone control rectifier (SCR) loads and other "noisy" loads that produce distorted waveforms. 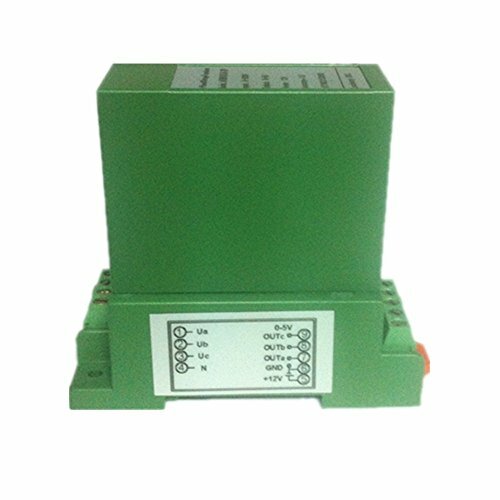 Specifications Signal Output 0-5 VDC Frequency Range 20-5,000 Hz Insulation Voltage 2,500 VDC Output Loading 2 K ohm minimum Operating Temperature 0 C to 50 C CR Magnetics manufactures electrical sensors, indicators, and displays. The company, founded in 2004, is headquartered in Saint Louis, MO. 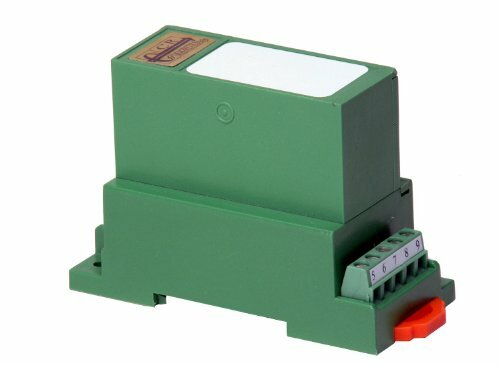 This CR Magnetics CR4811 series voltage transducer combines a potential transformer and signal conditioner, and is suitable for use in industrial automation systems. The transducer provides average root-mean-square (RMS) measurement for sinusoidal alternating voltage waveforms, with an accuracy of 0.5% full scale (FS) and a response time of 250 ms (10-90% step change). Mounting options include DIN rail or panel. This voltage transducer is Underwriters Laboratories (UR) Recognized and Conformit Europ enne (CE) certified for quality assurance. It is suitable for monitoring linear, constant-speed loads that produce sinusoidal waveforms. 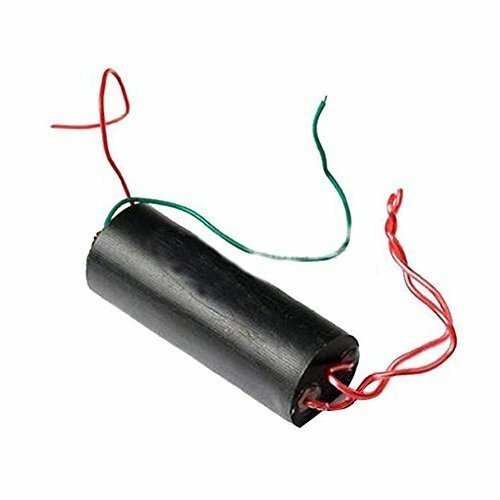 Specifications Signal Output 0-10 VDC Frequency Range 20-5,000 Hz Insulation Voltage 2,500 VDC Output Loading 2 K ohm minimum Operating Temperature 0 C to 60 C CR Magnetics manufactures electrical sensors, indicators, and displays. The company, founded in 2004, is headquartered in Saint Louis, MO. 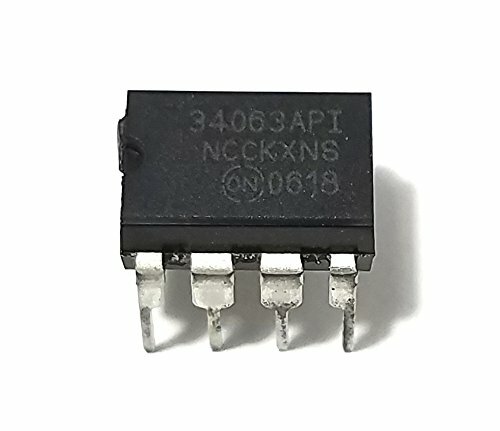 This CR Magnetics CR5320 series voltage transducer combines a potential transformer and signal conditioner, and is suitable for use in industrial automation systems. The transducer provides average root-mean-square (RMS) measurement for direct current voltages, with an accuracy of 0.5% full scale (FS) and a response time of 250 ms (10-90% step change). Mounting options include DIN rail or panel. This voltage transducer is Underwriters Laboratories (UR) Recognized and Conformit Europ enne (CE) certified for quality assurance. It is suitable for monitoring direct current (DC) voltage loads. Specifications Signal Output 4-20 mADC Frequency Range DC (0 Hz) Insulation Voltage 2,500 VDC Output Loading 300 ohm maximum Operating Temperature 0 C to 50 C CR Magnetics manufactures electrical sensors, indicators, and displays. The company, founded in 2004, is headquartered in Saint Louis, MO. This voltage transducer combines a potential transformer and signal conditioner, and is suitable for use in industrial automation systems. The transducer provides average root-mean-square (RMS) measurement for sinusoidal alternating voltage waveforms, with an accuracy of 0.5% full scale (FS) and a response time of 300 ms or shorter. Mounting options include DIN rail or panel. It is suitable for monitoring linear, constant-speed loads that produce sinusoidal waveforms. Warranty & Return 1.24 MONTHS QUALITY guarantee. Warranty : In the process of Exchanging products Buyer shoud bear freight of return shipping, while Manufactuer should bear freight of sending. 2.Buyer can return products and get FULL REFUND of item value within 30 days after receiving , if there's any quality problem in original products; Freight of return should be beard by manufacturer. This CR Magnetics CR4511 series current transducer combines a solid-core current transformer and signal conditioner, and is suitable for use in industrial automation systems. The transducer provides true root-mean-square (RMS) measurement for distorted voltage waveforms, with an accuracy of 0.5% full scale (FS) and a response time of 250 ms (10-90% step change). Mounting options include DIN rail or panel. This voltage transducer is Underwriters Laboratories (UR) Recognized and Conformit Europ enne (CE) certified for quality assurance. It is suitable for monitoring variable-frequency drive (VFD) and silicone control rectifier (SCR) loads and other "noisy" loads that produce distorted waveforms. Specifications Signal Output 0-10 VDC Frequency Range 20-5,000 Hz Insulation Voltage 2,500 VDC Output Loading 2 K ohm minimum Operating Temperature 0 C to 50 C CR Magnetics manufactures electrical sensors, indicators, and displays. The company, founded in 2004, is headquartered in Saint Louis, MO. Red and green side of the line is connected to the power supply, red line positive, green line negative, two red lines on one side is sparking. As the power is large, the internal heat is not easy, each time the power should be controlled within a minute. 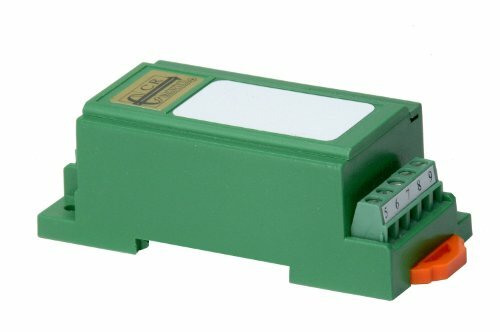 This CR Magnetics CR5310 series voltage transducer combines a potential transformer and signal conditioner, and is suitable for use in industrial automation systems. The transducer provides average root-mean-square (RMS) measurement for direct current voltages, with an accuracy of 0.5% full scale (FS) and a response time of 250 ms (10-90% step change). Mounting options include DIN rail or panel. 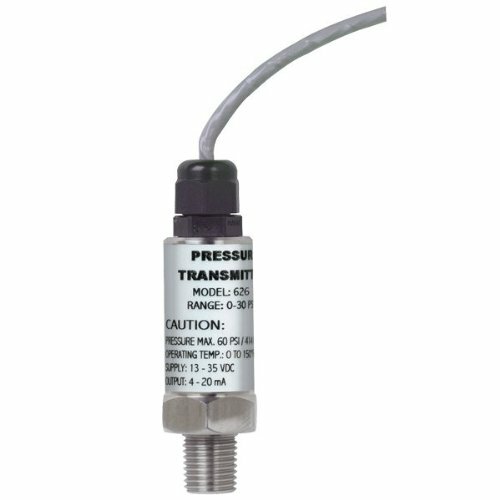 This voltage transducer is Underwriters Laboratories (UR) Recognized and Conformit Europ enne (CE) certified for quality assurance. 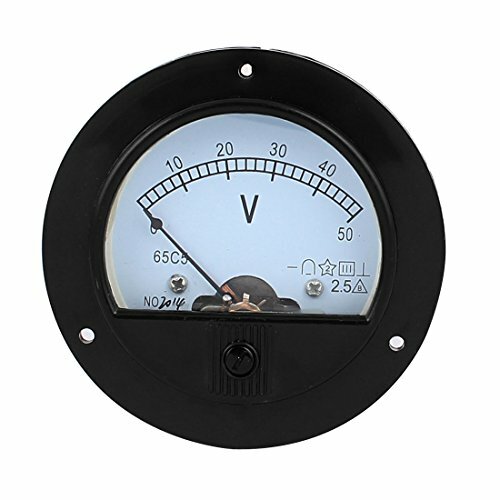 It is suitable for monitoring direct current (DC) voltage loads. Specifications Signal Output +/- 5 VDC Frequency Range DC (0 Hz) Insulation Voltage 2,500 VDC Output Loading 2 K ohm minimum Operating Temperature 0 C to 50 C CR Magnetics manufactures electrical sensors, indicators, and displays. The company, founded in 2004, is headquartered in Saint Louis, MO. This CR Magnetics CR4850 series voltage transducer combines a potential transformer and signal conditioner, and is suitable for use in industrial automation systems. The transducer provides average root-mean-square (RMS) measurement for sinusoidal alternating voltage waveforms, with an accuracy of 0.5% full scale (FS) and a response time of 250 ms (10-90% step change). A three-wire input allows for measurement of three-phase voltage. This voltage transducer is Underwriters Laboratories (UR) Recognized and Conformit Europ enne (CE) certified for quality assurance. It is suitable for monitoring linear, constant-speed loads that produce sinusoidal waveforms. 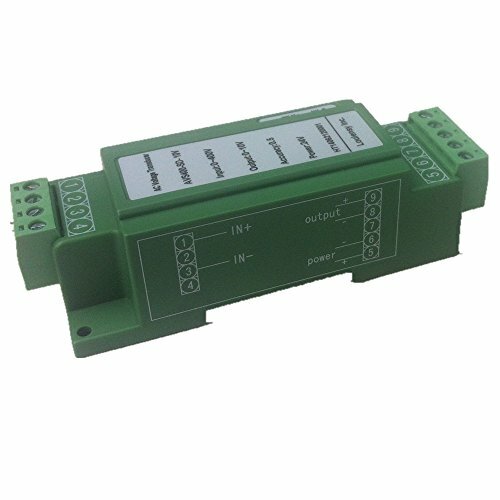 Specifications Signal Output 0-5 VDC Frequency Range 20-5,000 Hz Insulation Voltage 2,500 VDC Output Loading 2 K ohm minimum Operating Temperature 0 C to 60 C CR Magnetics manufactures electrical sensors, indicators, and displays. The company, founded in 2004, is headquartered in Saint Louis, MO.